A combination, that technology-calcium, which can only bring benefits. The show, to the fans, to clubs, to football. A LFScouting report on the most interesting technological advances made in the main football stadiums, and a focus on future projects, because beauty never stops. Globalization, innovation. These terms, which in more waves have changed permanently our way of life, to act and to do business, have inevitably changed the way we watch and enjoy the football. The clearest manifestation of what is understood by the observation of historical development, and technological, of the times of football stadiums. With this article we analyze how the hi-tech revolution has radically improved the experience for fans in the stadium. A tour inside the stadiums 3.0, the world's most beautiful and innovative, and all its new features, will allow us to be more aware of this. Barcelona: If the Catalan team is called "mès que un club", there must be a reason. The presence of a free wi-fi, fully tested, is a case in point. In addition the club blaugrana, completes the experience by creating an official app that offers various services inside the stadium, as a chat to facilitate communication. Another app, PassBook allows you to "stamp" telematics in your ticket for entry to the stadium. And land hybrid of Nou Camp allows having strength and stability at the same time. 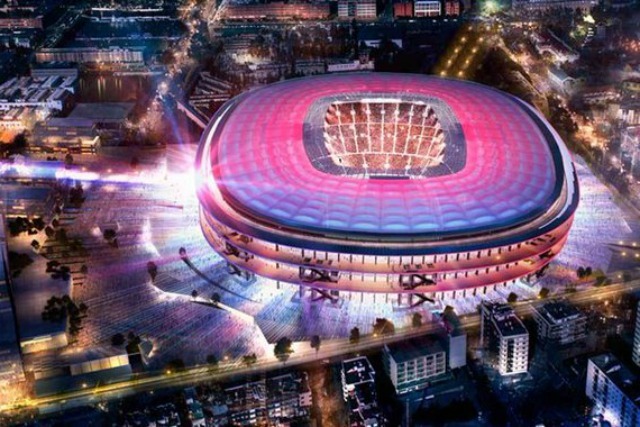 Of course, those who have already discovered the pleasures of innovation doesn't want to stop, and the President has already approved the project for a new Bartomeu Stadium (see first photo), which, among the news involves the installation of LED screens, full coverage in case of rain, water and solar energy collection and a restaurant at the VIP Tribune. Valencia. To attract more fans as possible at the Mestalla, Valencia is inspired by the NBA, installing 40 40 backboards square meters where you can see the highlights of the race, and especially the replays of goals, complete with entertainment, folklore and musical accompaniment. A bit like in basketball. Madrid. The two teams in the Spanish capital are not watching. Real Bank, the partnership with Microso ft allows the launch of a digital platform to bring exclusive content and virtual experiences inside the Bernabeu, using tablets and Smartphones. It is possible, for example, a complete monitoring of blancos during the match, or the repetition of goals from different angles. And the project benefits even for football players and coaching staff, such as the electronic eyes Kinect, that will allow you to see and understand the movements of every player that you are training, so as to prevent accidents, or a system composed of sensors attached to the ground to tell the gardener what parts of soil require maintenance. Across in Madrid, however, the show and the news are not lacking. 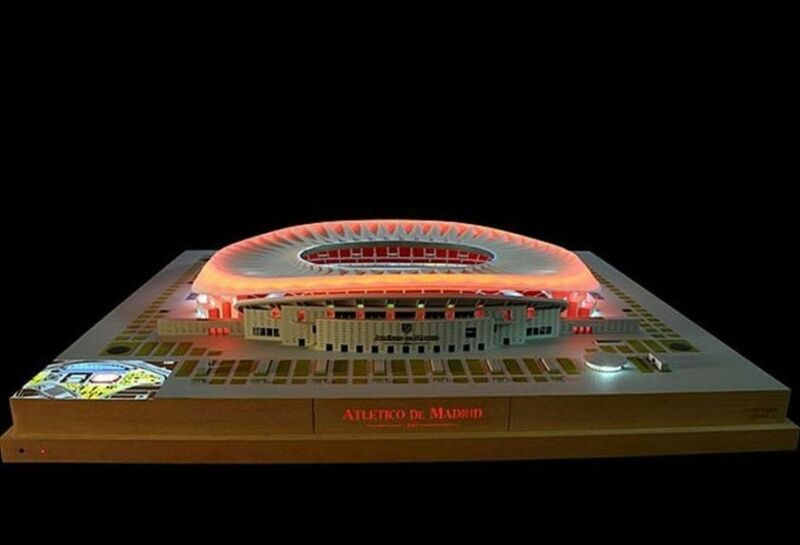 Next season Atletico will abandon the Calderón for a decidedly avant-garde. A corrugated roof and a spectacular lighting provided by Philips will be the flagships, eco-sustainability goals, such as reducing carbon dioxide, rainwater recycling and the use of solar energy for drinking water. As for the Premier and England, however, the receipts from pharaonic TV rights due to a brand's Premier League globalization strategy that bears fruit for years, allows you to invest even more in the modernisation of stadiums that guarantee already a very high level of comfort and choreography, creating a virtuous circle. Manchester. The team "poorer" (?) of the city, aims to meet the challenge with United not only on the field but also in the beauty and elegance of your home. And that is why the City since last year satisfied fans in their desire to watch everything they do footballers before entering the field, thanks to the app "Cam". Totthenam. What's new at White Hart Lane are also served, since the plan for the modernization of the stadium includes the construction of a tunnel to allow access of the fans of the system in all areas, and a restaurant with glass walls around the stadium. Finally, if the show in America, despite recent strides, still cannot be compared with top European Clubs, the same is not true as regards the show around the players. In creating the show, you know, Americans have always been the masters. Among the many technological experimentation in MLS, to a camera on the jerseys of players is certainly the most ingenious and interesting from the perspective of the fan. Obviously, such innovations, which lead in turn revenues, require investments, which can be funded only if the Business Model of a club is focused towards an overall strategy. We should not be surprised that, on this tour, we have not mentioned innovations in Italian stadiums. Moreover, we still speak of postwar works, and discussing the field in slow motion.